A couple of weeks ago, I came to a hastily written conclusion that Final Fantasy, specifically Final Fantasy XII, tends to present a better fantasy story than almost any other game. I'll readily admit that I was reaching a bit for something provocative to say about the game, but I wouldn't have written it if it was an entirely unsupportable opinion. I think my statement suffers from a slight lack of specificity. What I should have said is that late-era Final Fantasy games attempt a more complex scenario than Dragon Quest. The Dragon Quest franchise seems to be very focused on providing a classical experience. Its mechanics, for instance, remain relatively un-tampered-with even after over 25 years and 10 games (spin-offs aside), while Final Fantasy games feature new twists on genre conventions with nearly every title. I quite enjoy both. 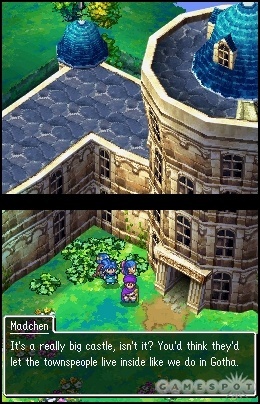 Dragon Quest always takes place in a rather familiar fantasy landscape, while Final Fantasy has become increasingly sci-fi in its setting. Again, I quite enjoy both. I think that these two franchises complement each other very nicely. Whenever I hear people discuss the Dragon Quest franchise, which is predictably infrequent, Dragon Quest V is often referred to as the favorite. I think that this preference has specific bearing on the discussion of narrative in RPGs. Dragon Quest V follows what is essentially a classical three-act narrative structure, taking place over about 30 years of the hero's life. The game begins when the protagonist is just a 6-year-old, traveling with his father, and follows him as he grows up and eventually has children of his own. The game has moments of substantial emotional resonance, which are only enhanced by the player's role in the story. I find Dragon Quest V's narrative hooks to be surprisingly well constructed, especially having come from a time before games were widely assumed to have strong narrative. Keep in mind, the original Super Famicom (Japanese) version of Dragon Quest V was released in late 1992: long before people like me started wielding our great, big pseudo intellects in analyzing video games. Mechanically speaking, Dragon Quest V is a rather predictable JRPG experience. There is relatively little to get in the way of story of the game. However, this particular entry in the franchise is important for one notable divergence from the standard genre party-building mechanic. 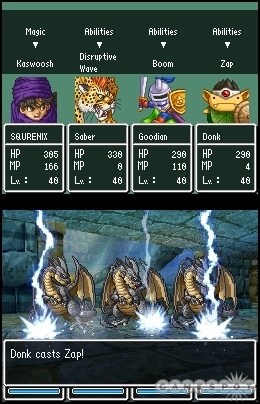 Dragon Quest V allows the player to recruit monsters that the party has defeated, adding them to the roster of combat-ready team members. It might be a bit rudimentary in its execution, but it predates Pokemon by about 4 years. For the most part, every Dragon Quest offers what you expect it too. Yet each Dragon Quest game that I play seems to offer a little something to make the experience seem fresh. 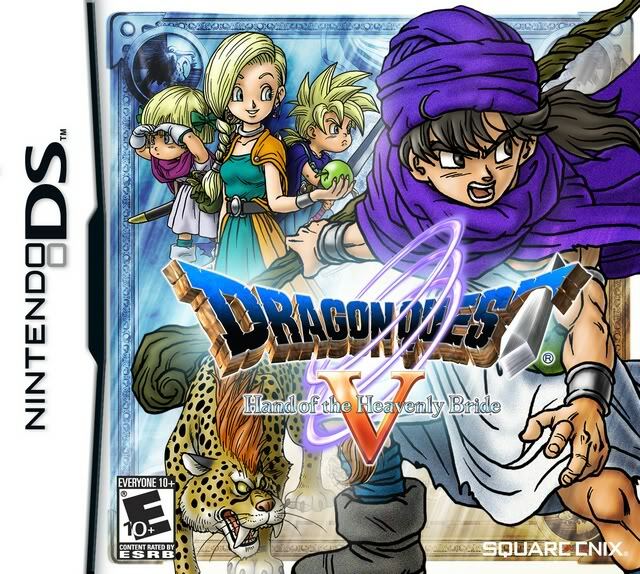 Dragon Quest V is certainly no exception to this rule with its handful of surprises, not the least of which is its cleverly constructed story. I'm convinced that this subtle paradox is the reason that the franchise has so many fans.